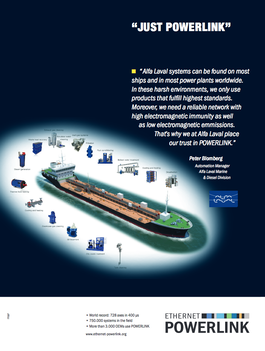 New machines include countless electronic power components that are not only powerful, but also a pervasive source of broadband electromagnetic interference. Since industrial Ethernet networks are becoming an integral part of machines and industrial plants, the close proximity of power electronics and network lines may cause problems that can only be solved by robust communication technology. As the machine's nervous system, the communication network is vital for the machine to function correctly. 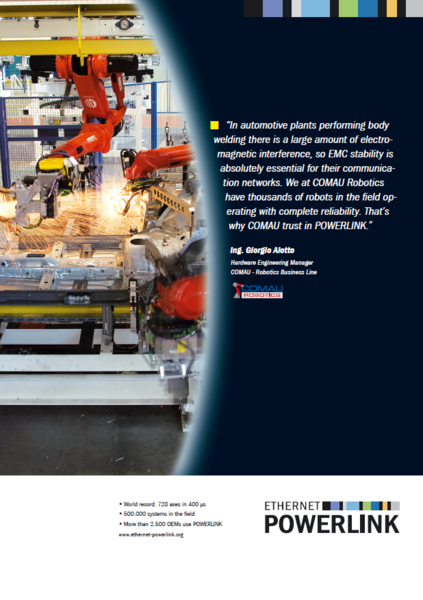 As a result, having a network with excellent EMC robustness is a critical requirement for machine builders. 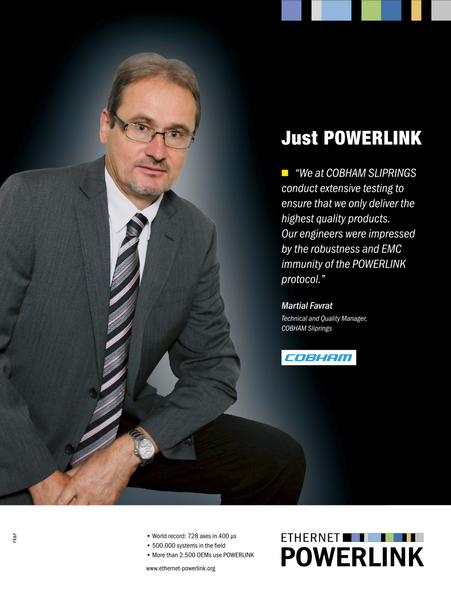 Theoretical studies published in Industrial Ethernet Book demonstrate that POWERLINK features excellent robustness against EMC. The results of this study have also been confirmed in the field through numerous testimonials. 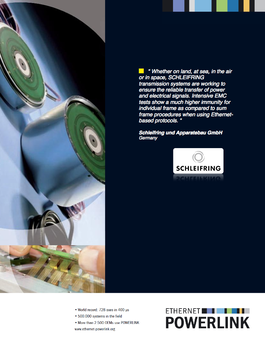 One of them, from Mr. 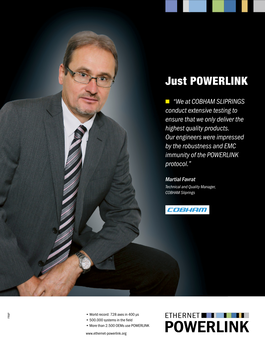 Martial Favrat, technical manager at COBHAM, states, "Our engineers were impressed by the results proving the high level of robustness and EMC immunity of the POWERLINK protocol with our slip rings."